News - China Foshan Nanhai Flamemax Catering Equipment Co., Ltd.
2019 Canton Fair is coming,this is our grand event of our catering equipment,you can see our latest equipment,our best price and our professional.We sincerely invit you to visit our booth 1.1K34. 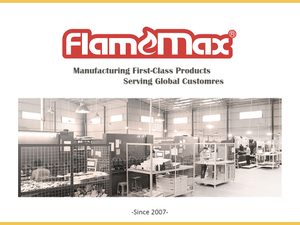 The catering equipment manufacturer, FLAMEMAX, whom you can't miss!The 124ND Canton is coming again! Date: October 15th - 19th,2018.Maybe we are the manufacturer you are always looking for!Come and visit us at booth:1.1 K34.Let's have a nice time together!